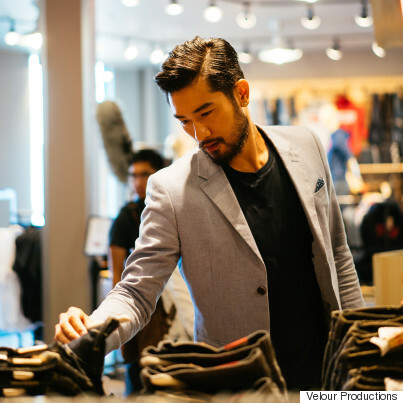 Godfrey Gao is busy in his new gig as a Canadian tourism ambassador. Vancouver-raised supermodel Godfrey Gao has been busy in his new gig as the Canadian tourism ambassador for the Chinese market. He was back at home over the weekend, filming a new TV spot for Destination Canada's campaign to air in November. The Taiwanese-born model and actor shot several scenes at the newly opened McArthurGlen designer outlet mall at the Vancouver International Airport. While we're used to his sultry, high-fashion shoots — after all, Gao was the first Asian model to appear in a Louis Vuitton ad — it was fun to see a more casual side of the jet-setting celebrity. Gao is hosting CTCTV, an online biweekly show to promote Canada as a top destination for Chinese travellers. Each episode draws an average 1.2 million viewers, according to the tourism commission.